Jack completed his Bachelor of Business in 2016 at AUT majoring in Marketing with a minor in management. and has recently secured his license with the IAA. 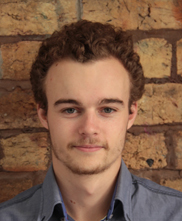 Jack’s passion is in digital marketing and market analysis and he is currently being mentored in this area to apply his knowledge from university into real life campaigns, whilst assisting clients with all elements of their move.